Joel is the Senior Pastor of Emmanuel. Joel and Katie have a heaving brood with five children and love the unpredictability of their day-to-day life. 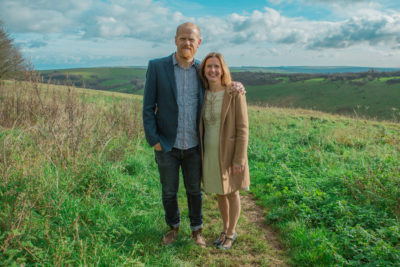 Brighton is their ideal home and they adore its energy and the way it comes alive in summer. Both are renowned for utter dedication to their life’s work; Katie especially loves working with kids and young people and Joel, when not studying behind a teetering pile of books, can be found chewing up the concrete on his Vespa.